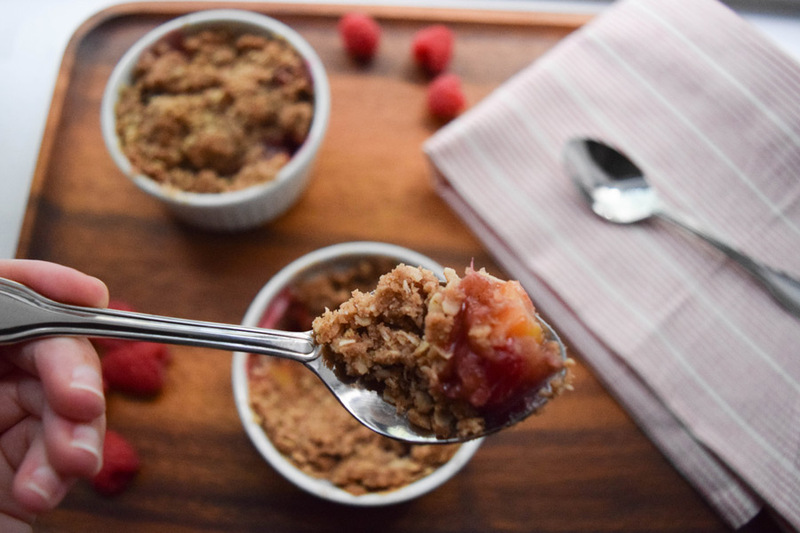 Crumbles are some of my favorite desserts to make. They are so easy, versatile and delicious. They are great in every season too. 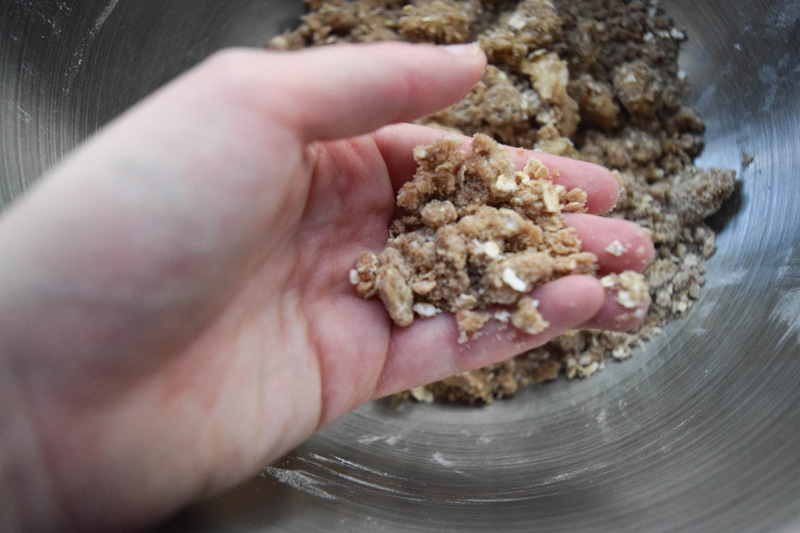 During the fall and winter, I love making apple or pear crumbles with a touch of spice for warmth. 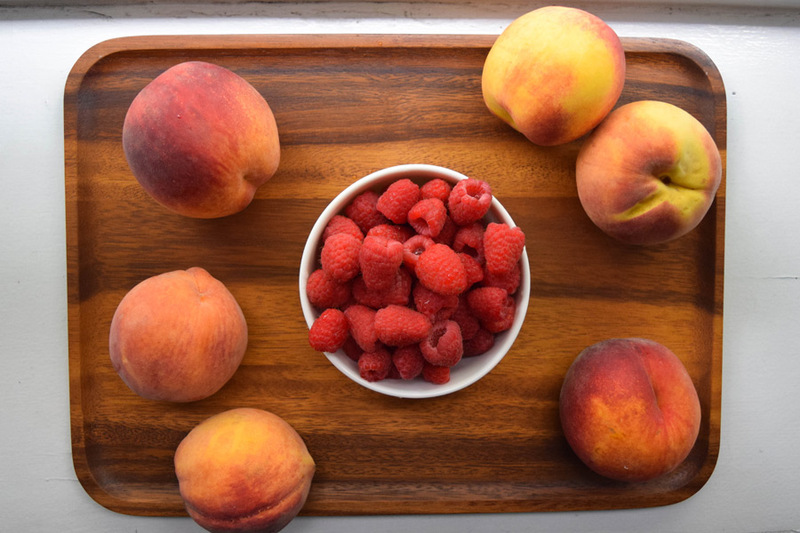 However, in the summer it’s all about the peaches. 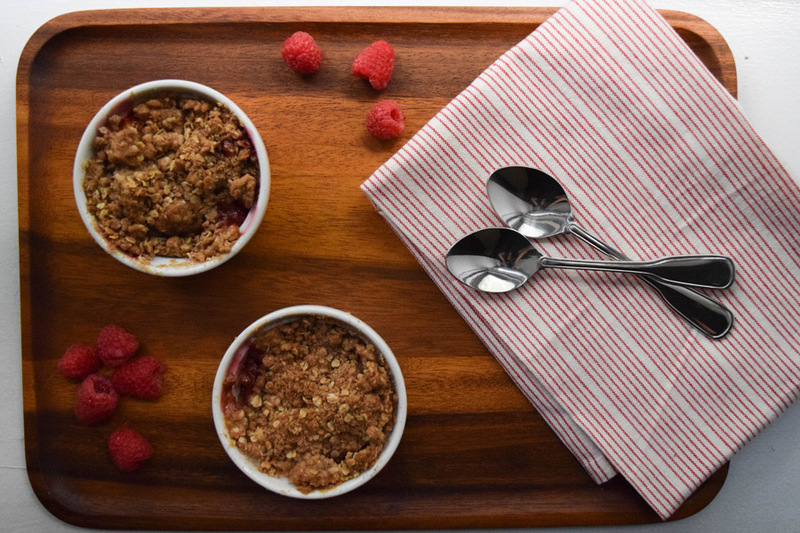 This Peach and Raspberry Crumble can be made in a casserole dish and served family-style for more casual get-togethers or made in ramekins for a single serve treat your guests are sure to appreciate. 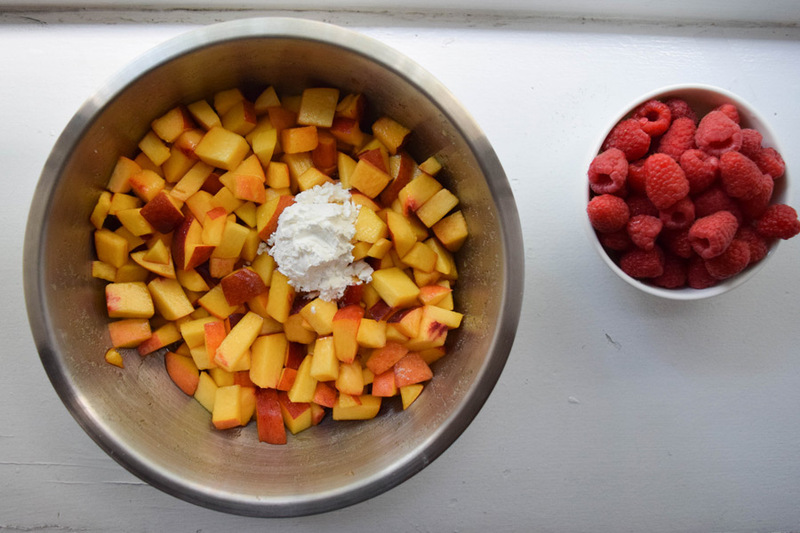 Use your farmer owned ingredients and whip up this easy treat next time you’re in the mood for something summery sweet! Make the crumble topping first. 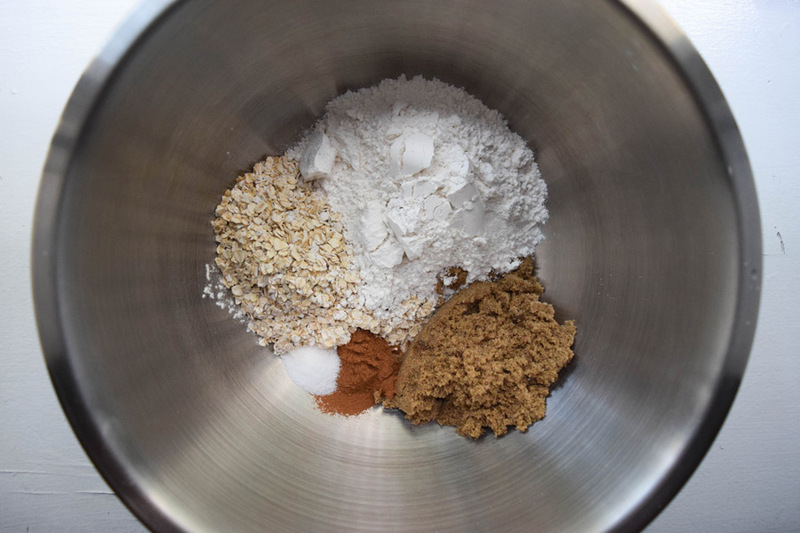 Mix together the sugar, brown sugar, cinnamon, salt, and flour in a bowl. 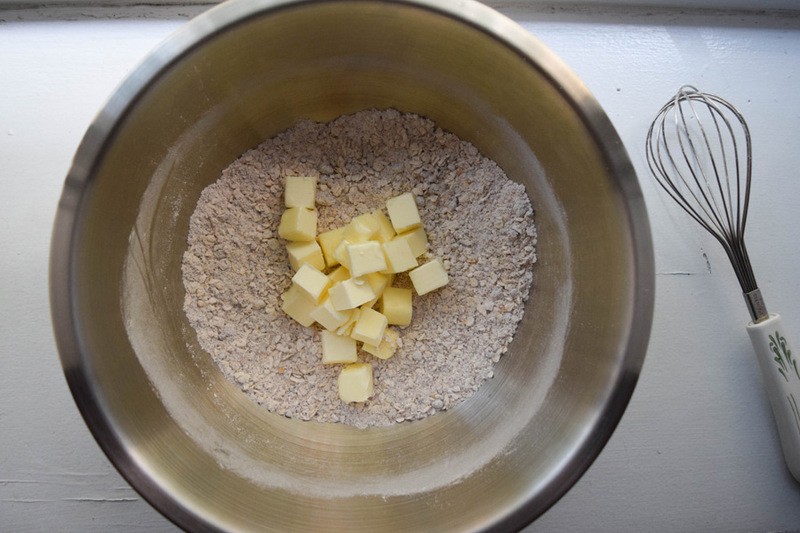 Using your hands or a hand mixer, mix in the butter until it is the size of peas and the mixture is crumbly. It will look like rubble with some wetter patches and others drier. 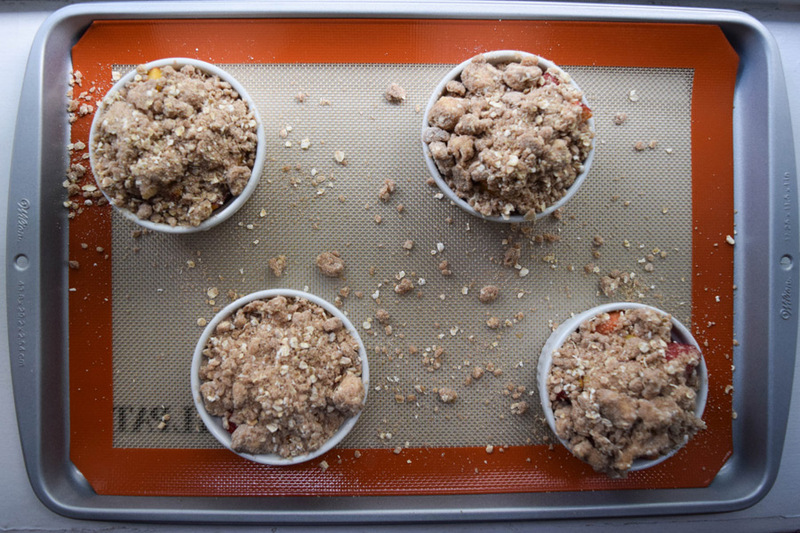 Place the crumb topping in the refrigerator for at least 15 minutes to chill while you assemble the filling. 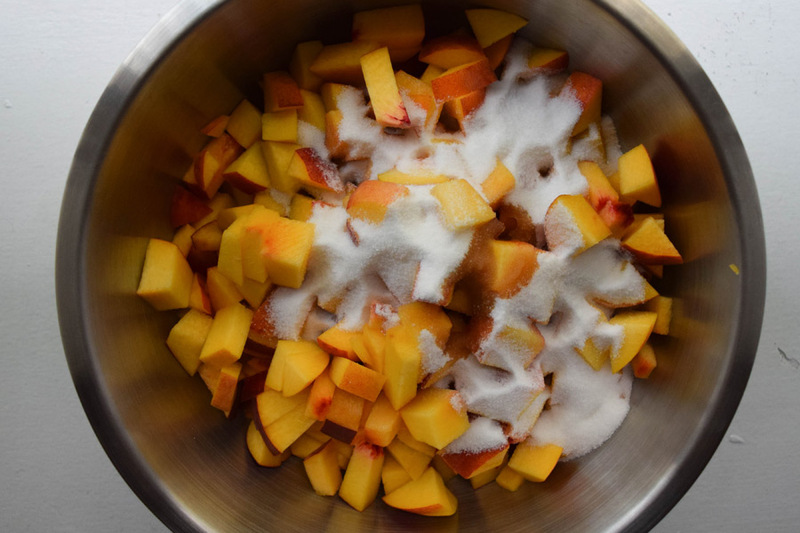 Cut your peaches into ½ inch pieces and place in a large bowl. Mix in sugar, vanilla and salt. 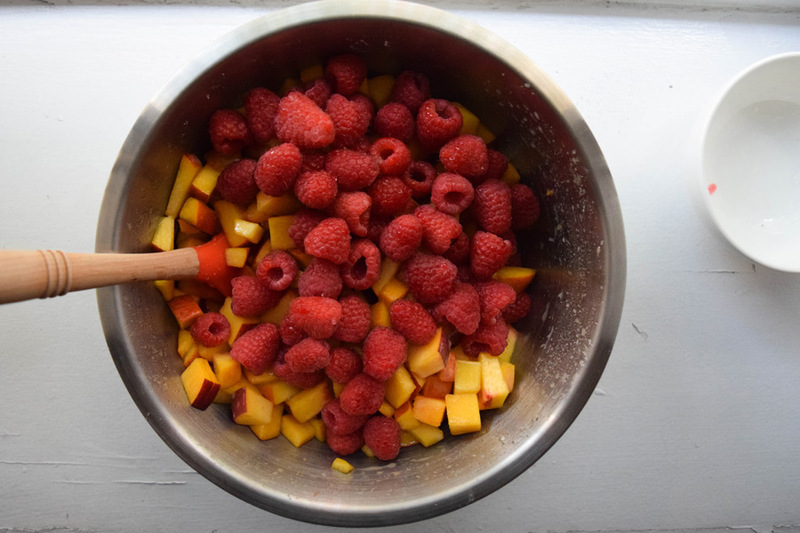 Next, add raspberries and fold them in gently, keeping them intact. 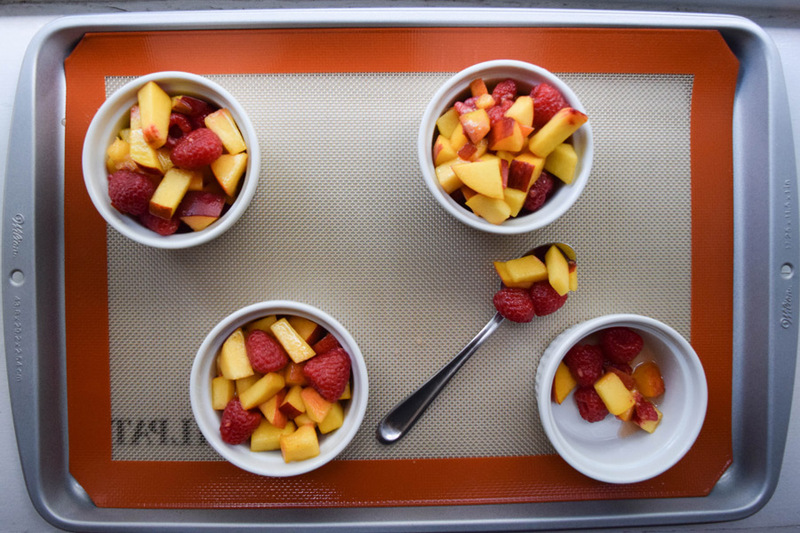 Place ramekins on a cookie tray lined with parchment paper or a silpat. Fill ramekins until they are completely full, even overflowing a little. Top with crumble topping and press it into the fruit. It is okay if the ramekins look over stuffed, they will shrink in the oven. 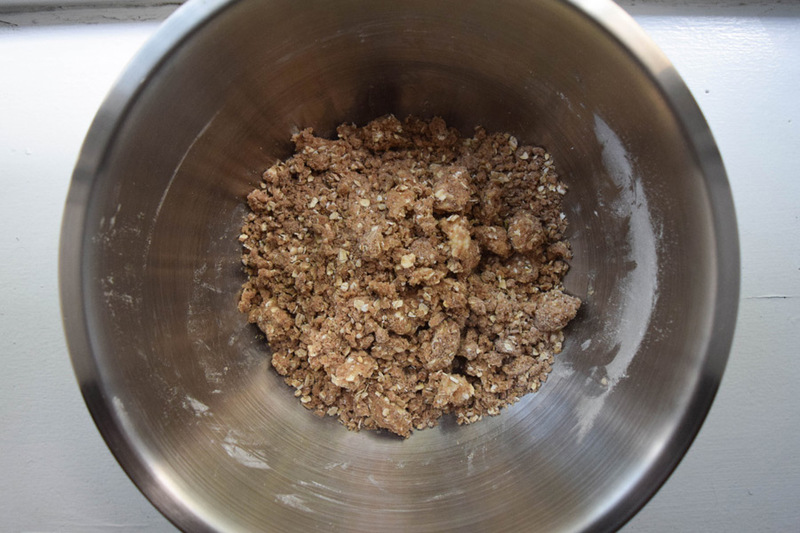 Place the crumbles in the oven and bake for 25 to 30 minutes until the topping is golden brown and the filling is bubbling. Remove from oven and let cool slightly.